I doubt anyone is naive enough to believe Disney's current wave of live action remakes of their animated classics is motivated by anything other than financial gain, but so far they've surprised us with inspired new takes on some of their library staples. Save for the awful Alice in Wonderland and its even worse sequel, they've delivered movies good enough to sit alongside the originals. The run ends with Beauty and the Beast however. 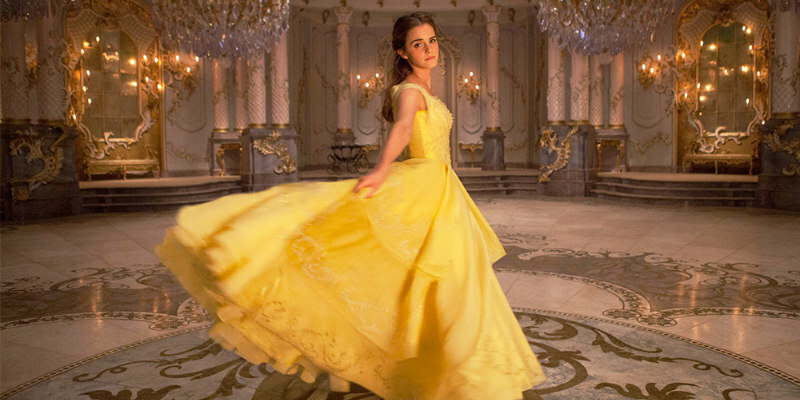 In this remake, the role of Belle is played by Emma Watson, who comes springing out of the traps like a delightful blend of Julie Andrews and Audrey Hepburn. She's a performer with a rare timeless quality, which makes her a perfect fit for a fairy tale fantasy. Belle is bored with her life in provincial France, where girls are excluded from school and discouraged from reading. She finds a way out when she is abducted by a once handsome prince turned into a grotesque beast (Dan Stevens). Actually he's far from grotesque, he's a bearded hunk with the hairiest chest this side of Tom Selleck and dreamy blue eyes. He's so dreamy that when he eventually gets transformed back into Stevens' human form you can't help but wonder if Belle feels short-changed. As luck would have it, the beast's lair boasts a library stacked with hardbacks, so Belle instantly warms to him. And who knows, if she shows him enough love, he might just change, because that's how monstrous men work, right? Unlike Maleficent, which recognised how problematic its source material's 'Someday my prince will come' narrative plays in the 21st century and reworked it without losing any of the story's romance, Watson and the Wookie makes no effort to address the central issue of how an abduction plot might play to a modern audience. In animated form, these sort of cracks are papered over, but when you make the heroine flesh and blood it all comes off as more than a little misjudged. The reasoning behind Belle's complacency with her imprisonment is offered as her dislike of her home town, but said hamlet isn't portrayed anywhere near hellish enough for her to make such a decision; in fact the townsfolk literally sing her praises in the opening number. We don't spend nearly enough time in the company of Hermione and her Honey Monster for the film to sell their unlikely relationship. There's a five minute period in which the movie finally chills the hell out and allows us to simply hang out with them, and it's by far the highlight of an otherwise insufferable experience, hinting at the movie this could have been. Previous Disney remakes have played as though they were consciously setting out to stand alongside the originals rather than replace them, but Moppet and the Muppet is the first that feels like it's attempting to outdo its source. Everything is overblown and overwhelming here, with three instantly forgettable new songs, the lyrics of which are barely audible, lost in a sound mix that drowns out the vocals with a booming score. The film never stops to catch a breath, and it's edited in dizzying, headache inducing fashion. Thankfully my screening was in 2D, as I don't think I could have endured this sensory overload for its punishing 129 minutes in 3D. Even without the extra fake dimension it's akin to having your head repeatedly dunked into a barrel of M&Ms. What's most surprising is the almost complete absence of humour in this version. Only Luke Evans, as a narcissistic prince, raises a giggle, and Josh Gad's much publicised comic relief 'gay' sidekick comes off as a regressive '70s throwback rather than the progressive character director Bill Condon no doubt intended. There's nothing magical or romantic about this oppressive reboot. Whatever its motivation, it plays like little more than a lazy, uninspired cash-in on a recognisable property. In Hollywood, that's a tale as old as time. 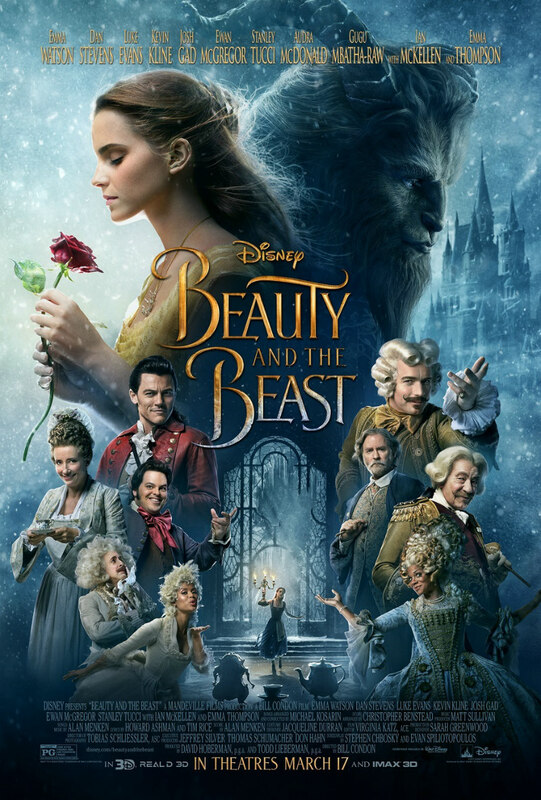 Beauty and the Beast is on Netflix UK now.